Old. New. Acoustic. Electric. Imagine all your musical needs met by a single versatile instrument. 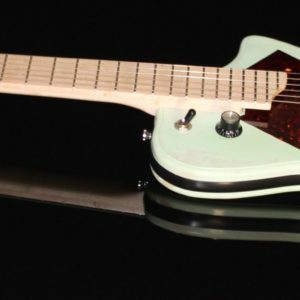 The BANTRONIC line of instruments is designed to fill the void that exists in the electric banjo kingdom. Utilize an incredible range provided by several forms of pick-up amplification technology. Alternate between pick-ups or blend them on the fly. The Bantronic Ultra model offers a built-in mechanism thats transforms the plucky banjo sound into that of a solid-body instrument. This feature allows you to turn the instrument’s classic banjo twang into the smooth sustain and powerful expression of an electric guitar. This audio phenomenon must be heard to be believed (sound clips are included on each model’s page). The Bantronic Auricle is a solid-body instrument with a resonating chamber underneath the bridge. 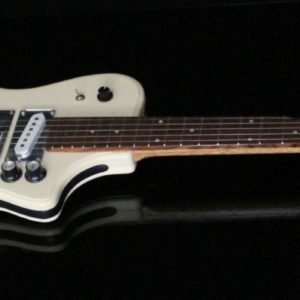 Here, a piezo captures the vibrations and combines them with the humbucker pickup, creating a unique tone like no other. All models are available with 5 or 6 strings, and in a plethora of colors, and neck materials.